One of the many reasons I moved to York last November was the huge variety of live music on offer in the city's venues and pubs. Since being here I have certainly not been disappointed and, in fact, often the hardest decision is which gig to go to! 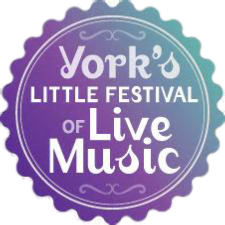 Joe Grint, one of the Yorkshire Gig Guide Directors, moved to York last year and so was on the spot for one of the shortlisted Outstanding New Festivals in this year's (and previous year's!) Yorkshire Gig Guide Grassroots Awards.